Nobel Laureate Gao Xingjian is amongst the most challenging writers of the present era. He has probed the dynamics of Chinese and European literature and developed unique strategies for the writing of seventeen plays, two novels, a collection of short stories and a collection of poems. He has also written two collections of criticism. Gao writes mostly in Chinese but also in French, and his major works have been published in many other languages. His two autobiographical novels Soul Mountain (1990/Engl. tr. 2000) and One Man’s Bible (1999/Engl. tr. 2002) are concerned with exploring the psychology of the narrator/protagonist, i.e., the author himself, and he achieves this with cold precision through his ingenious use of the pronouns “you” and “he.” Both novels and the short stories collected in Buying a Fishing Rod for My Grandfather (1987/Engl. tr. 2004) exude music and rhythms, and evoke vivid sensuous images at levels seldom achieved in fictional narration. He also uses pronouns to great advantage in plays concerned with probing the psychology of the protagonists, such as in Between Life and Death (1991) and Dialogue and Rebuttal (1992) that are included in the English-language collection The Other Shore: Plays by Gao Xingjian (1999). Other of his plays involve huge casts, such as Hades (1987), Of Mountains and Seas (1993/Engl. tr. 2008) and the grand opera Snow in August (2000/ Engl. tr. 2003). His plays have been performed in many languages on the stages of five continents, and since 1992 he has directed productions of several of his own plays. In 2003 he had the honor of directing the production of his Quatre quatuors pour un week-end (1995) at Comédie Français. This play was written first in French, and then in Chinese, and later published in English as Weekend Quartet in The Other Shore (1999). For his contributions to literature Gao has received several prestigious awards. In 1985 he was awarded a DAAD fellowship in Berlin for six months, and in 1992 he was awarded the French title Chevalier de l’Ordre des Arts et des Lettres in Paris. In the year 2000 within weeks he was declared Nobel Laureate for Literature in Stockholm and Premio Letterario Feronia in Rome. In France he was feted with the award of Chevalier de l’Ordre de Légion d’Honneur, and the City of Marseille declared that 2003 would be designated “L’anné Gao Xingjian,” a year that would be devoted to showcasing his achievements. Gao is also a distinguished artist who has established a distinctive style of painting with Chinese inks. Since 1985 he has held over fifty major exhibitions throughout Europe and in Asia and the USA, the most recent being “La Fin du Monde” at Ludwig Museum (Koblenz, 2007), “Between Figurative and Abstract” at Snite Museum of Art (University of Notre Dame Indiana, 2007), “Depois do dilúvio” at Sintra Museum of Modern Art (Lisbon, 2008), on the occasion of which significant catalogues were published. At present he is devoting much of his time to innovative filmmaking, an ambition he had harboured since the early 1980s while still in Beijing. His films Silhouette / Shadow (2006) and After the Flood (2008) now tour alongside his art exhibitions, and his third film Requiem for Beauty with a cast of thirty performers is scheduled for completion in late 2013. Gao’s achievements in a range of creative genres and his erudition in Chinese and European literature and the arts were acknowledged in a Citation at Italy’s celebrated Milanesiana festival in 2008 in the presence of three other Nobel Laureate guests of honor: Wole Soyinka, Derek Walcott and Elie Wiesel. Gao’s intensive interrogation of principles employed in world literary and art practice has allowed him to create path-breaking works with unique qualities that defy any comparison. Through his innovations he succeeds in extending the expressive potential of fictional narration, performance, painting and film. Some readers/audiences find the lack of familiarity in his works daunting, but many more feel immensely enlightened by the experience of reading/viewing his works. Unfortunately, political factors that are irrelevant to literature and art have imposed considerable restraints on the study of Gao’s achievements. When he was awarded the Nobel Prize in 2000, it was the first time in the 100-year history of the Nobel Prize that it had been awarded to a body of works originally created in the Chinese language. However, his works, although “not officially banned,” are not readily available in China, and to study his works is difficult, and virtually impossible. This means that he has been airbrushed out of existence for younger generations, despite his having been a celebrity playwright in China during the 1980s, until political harassment for his writings drove him to seek temporary respite abroad. The military crackdown on students in Tiananmen Square in 1989, made his relocation to Paris permanent. Amongst overseas scholars, the study of Gao’s works have also suffered neglect because of what seems to be a general tendency to focus on the study China’s best-selling authors. Gao’s creations embody a striving to plumb the self as a means to reach a deeper understanding of humanity in general. For him the writer or artist relies on impulses of the inner self, and is not hostage to politics, the collective, the market or any forces external to the self. 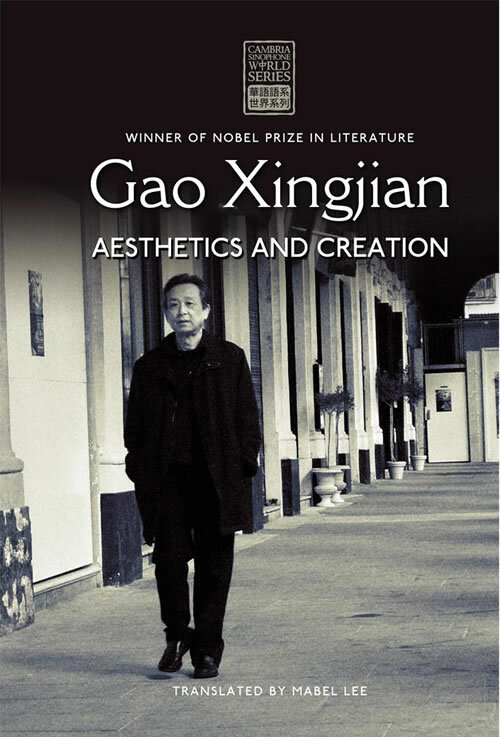 Unlike most practicing novelists, playwrights, artists and filmmakers, Gao is exceptional in that he has written extensively on both the theoretical underpinnings and the rationale of his innovations in the essays collected in Without Isms (1996) and Aesthetics and Creation (2008). Selected essays from the earlier work were published in English together with his Nobel Lecture in The Case for Literature (2006/7). The present collection takes the title Aesthetics and Creation from the name of the Chinese collection from which most of these essays are drawn, but it also includes some of Gao’s most recent unpublished essays. University of Sydney academic Mabel Lee is the translator, and the book also includes her authoritative introductory essay that contextualizes Gao’s significant position as an independent and uncompromising voice in the noisy hype of the globalized world of the present in which creative writers and artists are forced to conform with the demands of political and other group agendas, or with market forces, in order to survive. In incisive and cogently argued essays, he exposes the political dynamics of so-called “modernity” in Western literature and art, and how this has been enthusiastically embraced in China since the 1980s. In other essays he analyses traditional and modern European and Chinese notions of fiction, theatre and art, and elaborates on what aspects of writers and artists from both cultures have informed him in developing his own aesthetics in narration, performance and the visual arts. These essays testify to the extent of the cosmopolitanism of his aesthetics that both informs and are manifested in his literary and art creations. Gao Xingjian’s Aesthetics and Creation has importance and relevance to the general reader with an interest in literature and art as a creative human pursuit that is not demarcated by national or cultural boundaries. This book is both indispensable and inspiring reading for intellectuals and informed readers who regard themselves as citizens of the world. For academics, researchers, and students engaged in the disciplines of literature and visual art studies, world literature studies, comparative literature studies, performance studies, theatre studies, cultural studies, narrative fiction studies, and studies in the history of literature and the visual arts in modern times, this book is essential and thought-provoking reading that will have many positive outcomes.